Last edited by AeroCityMayor on January 26th, 2014, 1:39 am, edited 4 times in total. Good score sir. Will try and get some game time in next week so I can post something too. Last edited by Akraten on October 19th, 2010, 3:55 pm, edited 1 time in total. 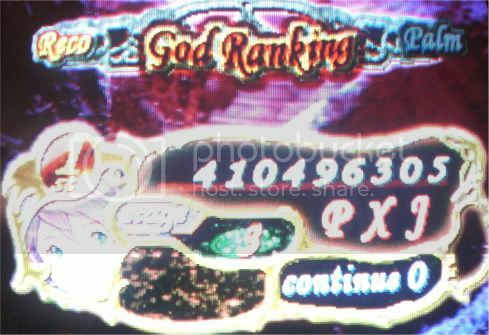 My highest score was like 30 mil. 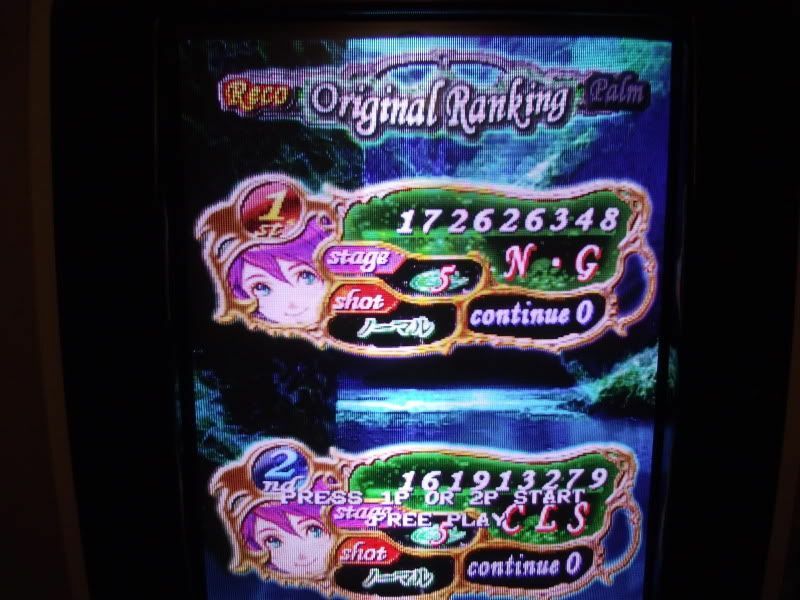 It has taken me 2 months to be able to reach L5 on a single credit with Reco. Her power isn't as good at taking down the L3 boss nor the L4 midboss as quickly as Palm. Should've been higher though - I lost a life at exactly the same point as picking up the fixed extend on L5 Think I've worked out the places where I should safety bomb - just a matter of not holding onto the bombs until it's too late. thanks to pixle junkie for showing me how to play this beast! Last edited by Akraten on October 19th, 2010, 3:56 pm, edited 1 time in total.